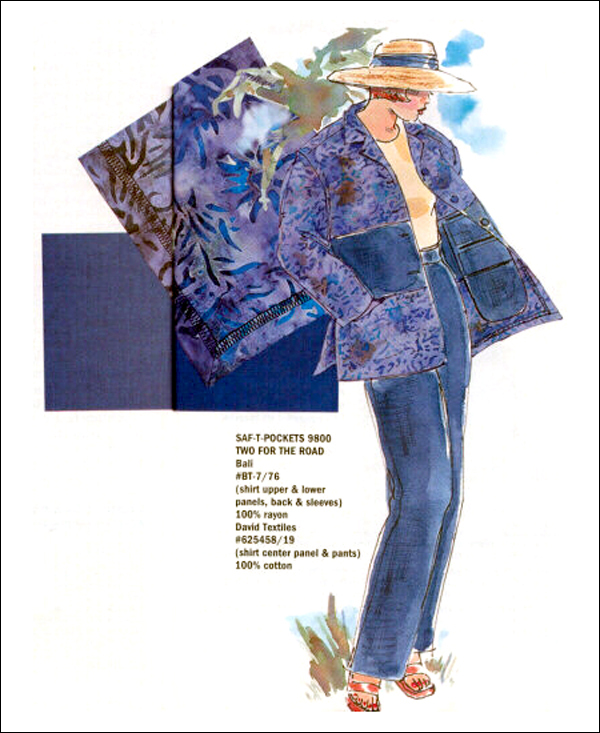 Woven garments, especially those with many seams, are prime candidates for serger finishing techniques. An ideal example is "Two For the Road". This travel-savvy, three-panel shirt and pull-on pant combo has four outside pockets and up to eight discreetly hidden security pockets.